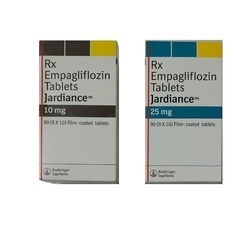 Our product range includes a wide range of victoza injection, forxiga tab, onglyza tablet, trajenta linagliptin tablet, jardiance tablets and wepox injection. Storage Temp. (deg. Celsius) Room Temp. 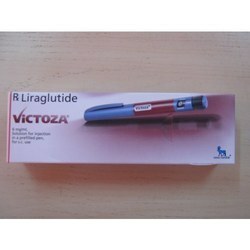 Victoza contains Liraglutide used to treat Blood Sugar Level. It helps pancreas to produce more insulin and control blood sugar levels. Available in Pre-Filled Syringe contaioning 300 IU. Derma Medicine Point is the leading supplier of Victoza from Central India. 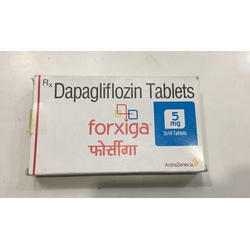 Forxiga (Dapagliflozin) is an oral diabetes medicine helps control blood sugar levels. It works by helping the kidneys get rid of glucose from the blood stream. It is used together with diet and exercise to treat type 2 diabetes. Derma Medicine Point is the leading supplier of Onglyza Tablet from India. 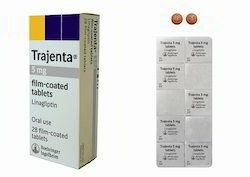 These are widely prescribed and used by qualified medical practitioners for the management of Diabetis Mellitus. Onglyza contains Saxagliptin which is Dipeptidyl Peptidase Inhibitor. 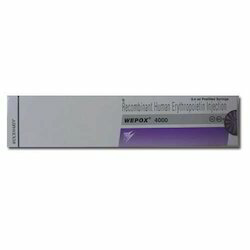 Wepox Injection is a medicine that is used for the treatment of Anemia Due To Chronic Kidney Failure, Anemia In Aids Patients, Anemia During Cancer Chemotherapy and other conditions.Wepox Injection contains Erythropoietin as an active ingredient.Wepox Injection works by stimulating the maturation of immature red blood cells in the bone marrow. Widely praised for its quality, our enterprise is engaged in offering a vast range of Mircera Injection. Our injection is used to fight against anemia by producing red blood cells. Our product is strictly tested by our quality inspectors ensuring its safe packaging, no side effects, and accurate composition. The offered injection is exclusively used in various hospitals, health care centers, medical clinics and nursing homes. 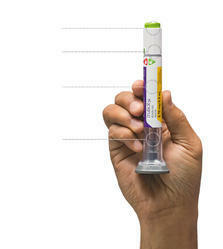 TRULICITY Single-Dose Pen (Pen) is a disposable, prefilled medicine delivery device. Each Pen contains 1 dose of TRULICITY (1.5 mg/0.5 mL).